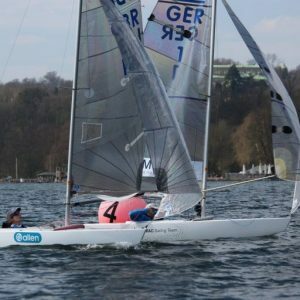 Around July 2018, I was considering changing class from the Laser Radial to another boat as I was not enjoying the style of sailing and hiking demanded by the Laser. I searched around and gathered some ideas such as a Blaze, a cheap International Moth, RS 100, RS 300 and the RS 600. I had tried a Blaze as there are a couple at my local club and it was soon becoming the top contender. However, I had a look into their calendar and every national championship for the next couple of years are going to be based in the South / South-West of the country, and this was a problem when you’re based in Essex and currently relying on parents to drive you to events! When my search for the next boat started, I was still campaigning in the RS Feva and had been taking part in the RS Feva Europeans at the RS Games in Weymouth. Whilst I was down there, I also decided to stay on and do the RS 200 nationals with a friend from my local club. Both of these events were great and we scored some with brilliant results. I ended up coming away from the event with a 2nd overall in the RS Feva Europeans and a 40th overall in the 200’s, a great result considering this was our first 200 event and we were racing against sailors who have had much more experience than both of us. 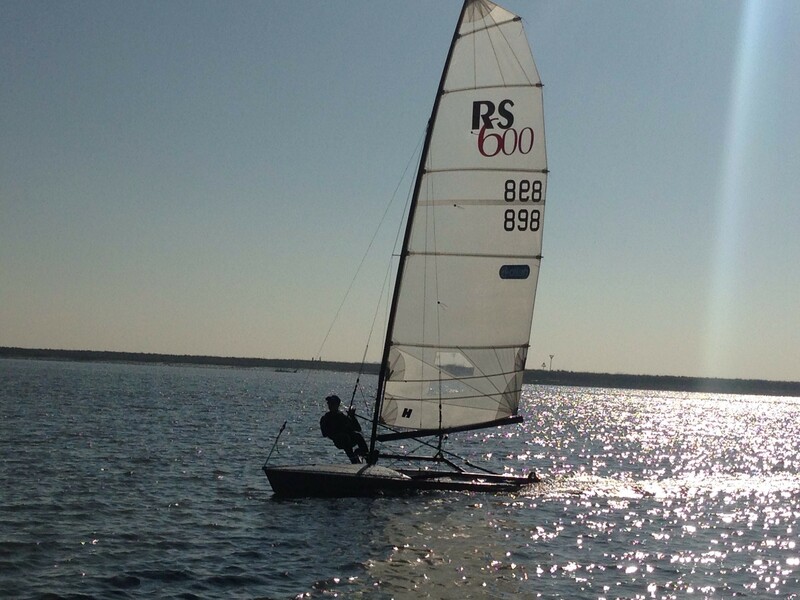 Whilst competing at the RS 200 nationals, the RS 600’s had their national championships happening at the same time. 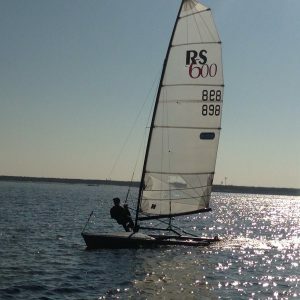 I happened to spot the new prototype RS 600 in the dinghy park and after having a look and watching some of the racing, which looked really fun, the boat started to appeal to me! Once i got home from Weymouth I started looking into the fleet in more detail. I found out where the local boats were and which areas of the country had been holding events. This made me want one even more. I then started looking into the second-hand market and it looked like the class was growing again as all the second-hand boats where being snapped up sharpish! After purchasing my boat in October, I have been trying to sail it as much as possible and it has been a very, very steep learning curve. Even having some experience with 29er sailing and some knowledge of trapezing, it was still a very difficult boat to get to grips with. When starting to sail the boat in about 10-12 knots, the first thing I noticed was that I struggled with was not having a third hand! 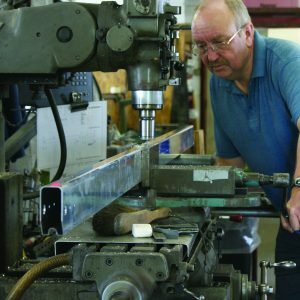 It was a whole new experience, to helm using the mainsheet whilst also having to trim the trapeze height at the same time. Its ended up with me doing a lot of swimming! However, with much practice over the winter, the 600 felt less and less like a giant arm-band and more like a skiff. I am still learning certain skills in the 600 and can’t wait for the season to start so I can get out on the water as much as possible. For this season I am most excited for the national championships being held at Stone Sailing Club in Essex. It will be my first event and I have some new Allen hardware that I can’t wait to use, as well as some new Rooster kit that should help my trapezing.